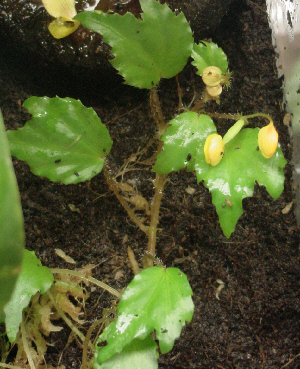 The smallest species of Begonia, this diminutive plant has tiny pointed green leaves and bright orange-yellow flowers. 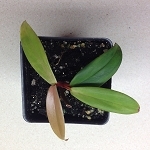 Grows best as an epiphyte but it can also be grown terrestrially in a very well drained substrate. Must be grown inside of a humid terrarium.